Successfully Added ThL W200 Phone - 5 Inch HD Screen, Android 4.2 OS, Quad Core 1.5GHz CPU, 1GB RAM, 8GB Memory, 2 Cases (Yellow) to your Shopping Cart. ThL W200 5 Inch HD Quad Core 1.5GHz Android 4.2 Phone that features 1GB RAM and 8GB Internal Memory is quality designed handheld device from ThL that now comes with two free cases, one in black and one in white for any occasion. ThL is growing at an alarming rate in the mobile phone business sector; however it is not difficult to see why, having more than 10 years of knowledge in assembling quality Android smartphones has empowered ThL to build a wide client base in both Europe and America. Another model being released from ThL is this ThL W200 5 inch Android mobile phone, with plenty of features this surely isn't a smartphone to ignore when choosing your next cell phone. A 5 inch screen permits the client to view features and play games at an agreeable size with the clarity offered by this phone’s 1280x720 resolution screen. 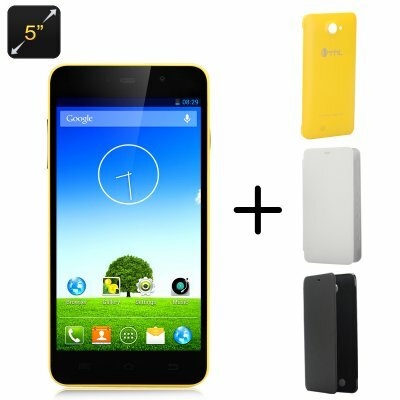 Due to using a super fast MTK6589T Quad Core processor that is supported by 1GB of RAM to drive this yellow smartphone along, the ThL W200 mobile phone's quad core processor is fit for taking care of numerous errands in a quick and effective manner without any slack or gradualness to the entire stream of the W200 phone. 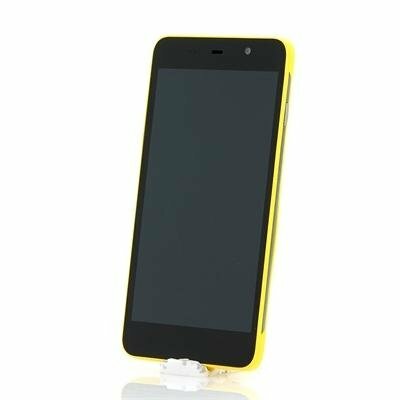 This 5 inch screen smartphone utilizes the most recent 4.2 Jelly Bean operating system from Google Android, which encourages customization in addition to picking and downloading from in excess of 700,000 applications that are open from the online Google Play store. 8GB of internal memory is all that could possibly be needed for clients to save and store their media records and other information, yet for the in-your-face clients there is a way to increase the memory via the micro SD card slot that supports up to an additional 32GB of memory. Another quality made Android phone from the makers at ThL, the ThL W200 is ready to serve. In stock now, we guarantee next day shipping and offer a 12 months warranty on all our products. Brought to you by the leader in electronic devices and wholesale Android Phones, Chinavasion. Excellent phone for price, nice crisp clear screen, good sound, fast processor, all popular apps work quite happily. 2 decent cameras. No cover supplied, this phone is very slippy to hold, ive already dropped it 3 times and I've only had it a week.